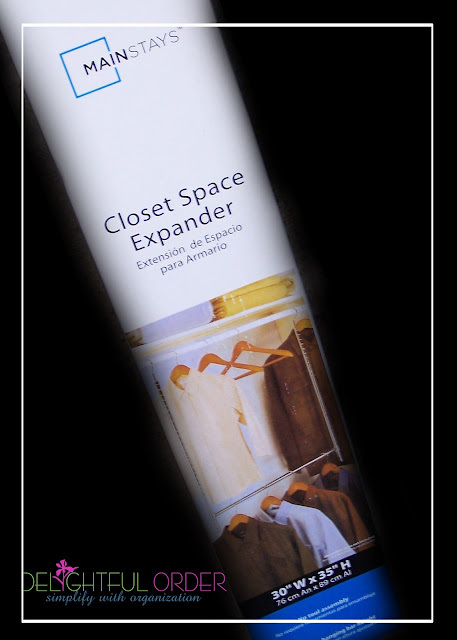 Have you seen the Closet Space Expanders made my Mainstays? If you ask me, they are the coolest little things ever! 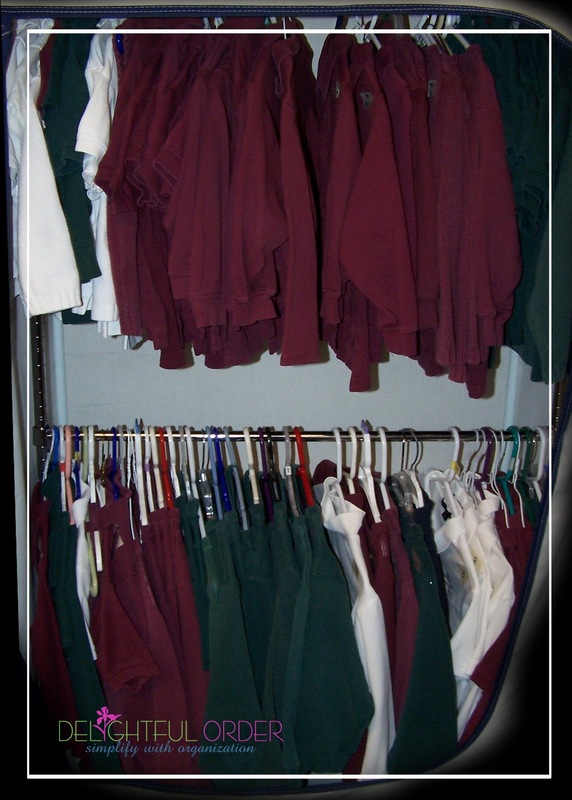 I did a little school uniform organizing and used these expanders to create more space. Want more hanging space in your closet? 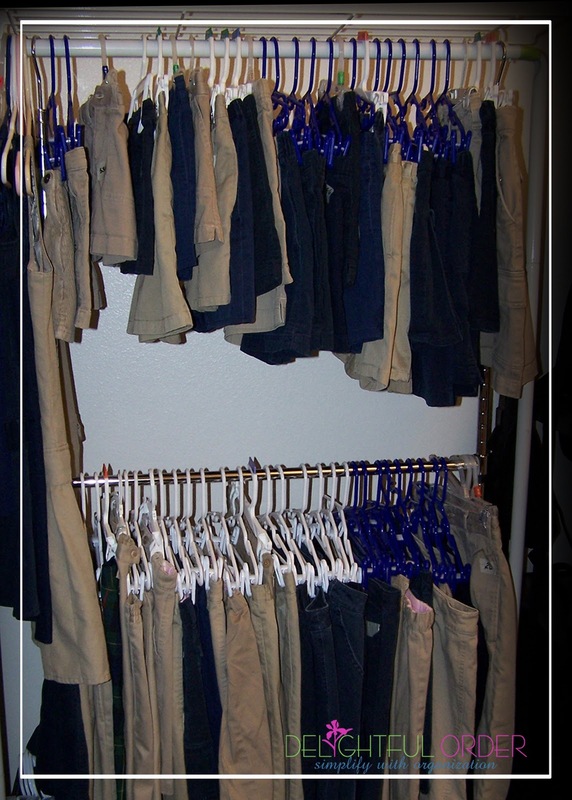 This is one way you can achieve that quite inexpensively.